Giving positive praise to your child is one of the most important acts of parenthood. And yet children have an uncanny ability to see right through false flattery and undeserved praise. What is a parent to do? We have specific, constructive answers to this age-old riddle in our feature article for April: "Helping Your Child Develop Positive Self-Esteem: Giving Good Praise." I hope you are feeling crafty this month, because we have a doable craft project you are definitely going to want to try. Our bonus article for April describes the simple steps to create fantastic swirling designs on ceramic wares in "You Can Do It: Marbleized Ceramic Art." You have to see this to believe it. Enjoy! Whatever your educational needs, Foundation for Learning is ready to assist you with caring, one-on-one, individualized tutoring, and ISEE/SSAT test prep. Don't hesitate to give us a call at 973-425-1774 or send an email to betty.foundationforlearning@gmail.com for a free consultation. 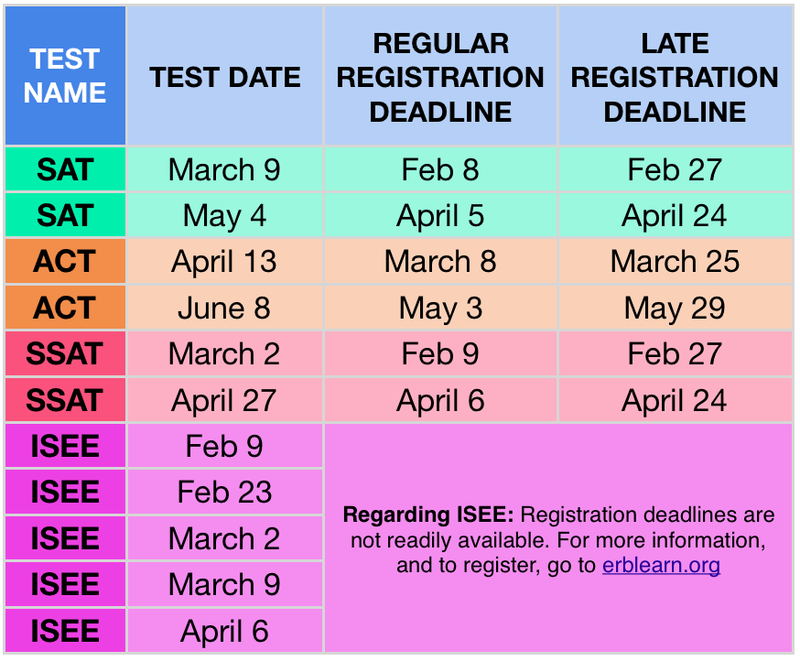 Mark your calendar for the latest test dates. Make sure you are being clear about what it is you are praising. For example, instead of saying “You behaved so well in the grocery store,” make a more specific comment such as, “You were so patient while we waited in that long check-out line. I really appreciate that.” By being clear about what he did well, you can reinforce his good behavior and increase the likelihood that he’ll repeat this action. For longer, more complicated, or multi-step activities, you might want to help him set realistic steps and give him positive feedback as he nears his goal. Be sure to use specific descriptive feedback that lets him know which actions are causing you to offer praise. You want to note your child’s progress and efforts and to help him see how his efforts are paying off. Comments like “I can tell how much you’ve been practicing” is a sure way to keep your child motivated. It is important that you are giving sincere praise. The key is to be genuine and to avoid saying things like “You’re the best soccer goalie ever!”, because your child will instinctively know that this is not the truth and will start doubting other praises you give him. Related to the effort to give sincere praise is that you should also do your best to avoid over-the-top compliments such as repeatedly saying “You’re so smart, you’re so pretty, your picture is perfect, etc.” This kind of comment does little to help motivate and again, over time, could lead your child to doubt himself. Instead, try to praise your child for the effort rather than his natural talents, emphasizing what he has control over and the abilities he can strive to improve upon. Focus on the process rather than the outcome. For example, if your child is working on a project, let him know that you notice his effort to get the job done as opposed to waiting until he has finished and commenting on the final piece. For some children, it may take several attempts for them to get the job done or to get it done the way they wanted. This is particularly true for the child who has learning and/or attention issues. You can help him to stick with the project by noting his efforts, rather than commenting on the final work itself. Avoid comparing your child’s work or skill to his sibling's or friend's. This can lead to him doubting his own abilities, avoiding competition, and it could affect his motivation and resilience. Praise your child’s skill rather than focusing on how he “stacked up” against his peers. Do, however, emphasize how his efforts and actions affect other people. You can let him know how his action made you feel, or point out how something he did affected another family member by. Show your child that you notice his efforts and the affect he had on others, and he will feel like a valued family or group member. By paying attention to the words you use when giving praise, you can help your child to self-actualize, to stay motivated, to gain positive self-esteem, and to continue to grow and develop in positive ways that are sure to benefit him throughout his school years and well beyond. From Martha Stewart comes this fun and easy crafts project that people of all ages will enjoy. Take a look around your kitchen: Dishes, cups, and glasses all lend themselves to this fun project, and adding style and polish to a bunch of mismatched vases can be as simple as, well, adding polish. Don’t have something in the kitchen for this project? Head to your local Target or Walmart and there you’ll find a huge selection of white ceramic pieces in their kitchen section. Encouraging an early love of reading bestows a lifetime of enrichment. 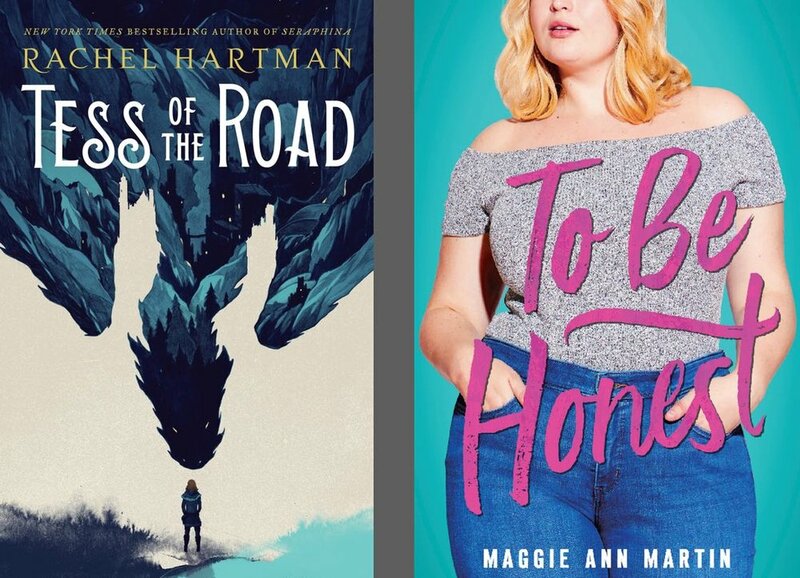 Last month we gave you a suggested reading list of some of the best young adult books that were published in 2018. 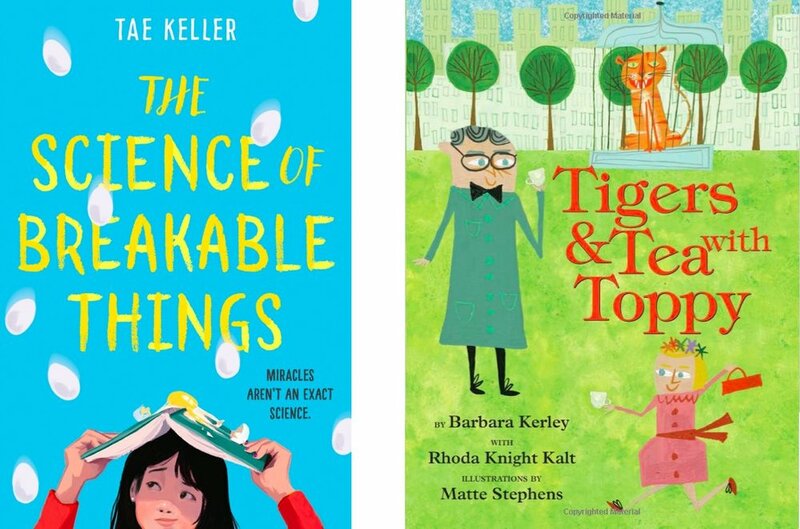 This month, we’re giving you a great list of some of the best books for younger readers in our feature article: "Best Children's Books of 2018." March is a month that never fails to fascinate. 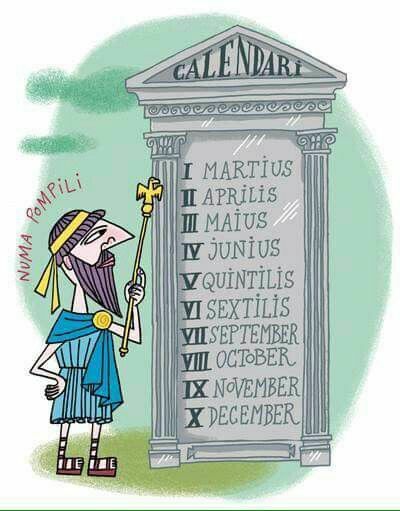 Did you know it was the original first month of the Roman Calendar? Read much more all this month full of interesting days in our bonus article: "Did You Know? Fun Facts about the Month of March." Uniquely structured, All the Animals Where I Liveis a picture book from Philip C. Stead, one of our most innovative author-illustrators, that is a meditation on life and moments big and small that shape our individual worlds. Min is a microbe. She is small. Very small. In fact, so small that you’d need to look through a microscope to see her. Or you can simply open this book and take Min on an adventure to amazing places she’s never seen before―like the icy glaciers of your tooth or the twisted, tangled jungle of your shirt. Written by Idan Ben-Barak, with illustrations from Julian Frost, Do Not Lick This Bookis perfect for anyone who wants to take a closer look at the world. Two-time Caldecott Medalist and New York Times–bestselling picture book creator Chris Raschka pays tribute to one of the most quintessential events of childhood—getting new shoes—in this boldly illustrated and inspiring book for the youngest reader. From having feet measured and making a selection to finally showing off the new shoes to a friend, this momentous child moment is treated with respect, excitement, and page-turning energy in a wonderfully age-appropriate picture book. Caldecott Medalist and New York Times–bestselling picture book creator Chris Raschka joyfully captures the event from the child’s point of view. New Shoesis a preschool classic in the making. In captivating paintings full of movement and transformation, Tamaki follows a young girl through a year or a day as she examines the colors in the world around her. Egg yolks are sunny orange as expected, yet water cupped in her hands isn’t blue like they say. But maybe a blue whale is blue. She doesn’t know, she hasn’t seen one. Playful and philosophical, They Say Blueis a book about color as well as perspective, about the things we can see and the things at which we can only wonder. A vibrant, loving debut about the coming-of-age moment when kids realize that parents are people, too. Rhoda loves spending time with Toppy. He is not only her beloved grandpa, but also the world-famous wildlife artist Charles R. Knight! Every outing with Toppy -- from visits to the American Museum of Natural History and the Central Park Zoo to tea parties at The Plaza Hotel -- is filled with fun and adventure. Lovers of animals, art, natural history, and New York City will relish this vivacious and winsomely depicted true story. Presented through Rhoda's eyes, it celebrates the enchantment of scientific inquiry, a tender grandparent-grandchild bond, and the vision of a pioneering artist who opened our eyes to the wonders of the ancient world. Included in this book are more than a dozen of Charles R. Knight's original paintings and drawings, interspersed with Matte Stephens's winsome illustrations. It’s March—Happy New Year! Wait…what? If so many months were named for their Latin numbers, why wasn’t March called… unumber? March was actually named for the Latin Martius—aka Mars, the Roman God of war and a mythical ancestor of the Roman people via his sons, Romulus and Remus. With the winter frosts melting and the ground becoming fertile for harvest again in the Northern hemisphere, March was historically the perfect month both for farmers to resume farming, and warriors to resume warring. Incidentally, the Pentagon still seems to agree with this Roman tradition: with the exception of the recent War on Afghanistan, almost all major US-NATO led military operations since the invasion of Vietnam have begun in the month of March. What does “beware the Ides of March” actually mean? On the Roman calendar, the midpoint of every month was known as the Ides. The Ides of March fell on March 15th. This day was supposed to correlate with the first full moon of the year and was marked by religious ceremonies, but thanks to Shakespeare’s Julius Caesar we know it for another reason. Supposedly, in 44 BC, a seer told Julius Caesar that his downfall would come no later than the Ides of March. Caesar ignored him, and when the fated day rolled around he joked with the seer, “The Ides of March have come.” The seer replied, “aye, Caesar; but not gone.” Caesar continued on to a senate meeting at the Theatre of Pompey, and was summarily murdered by as many as 60 conspirators. 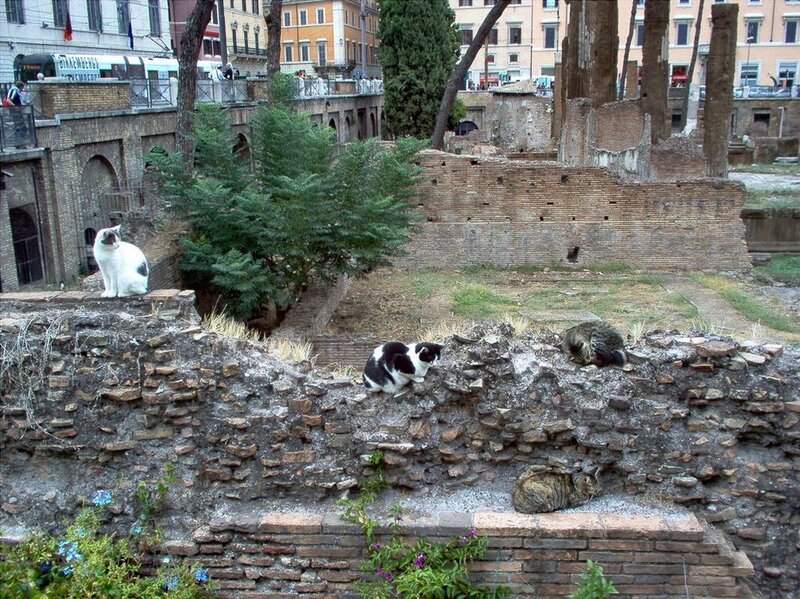 Ironically, the spot where Caesar was assassinated is protected in today’s Rome as a no-kill cat sanctuary. As the saying goes, March comes “in like a lion, out like a lamb.” That was certainly true on March 1st, 2007, when a detachment of 170 Swiss infantrymen accidentally invaded neighboring Liechtenstein when they got lost on a training mission. NASA astronaut Scott Kelly returned from space after one full year, setting a new record for the longest uninterrupted trip to space. Daylight saving time begins. Hooray! More daylight! Pi Day celebrates the annual occurrence of 3/14 with math jokes, pi-reciting competitions, and (of course) freshly baked pie. Many people will remember to wear green for St. Patrick’s Day. But even those who consider themselves very knowledgeable about music trivia might not know that on St. Patrick's Day in 1973, Pink Floyd’s “Dark Side of The Moon” first hits the Billboard Top 200 chart at number 95. A mere 14 years later (736 chart weeks, to be exact), it finally leaves the top 200 for the first time, setting a still-unbroken world record. 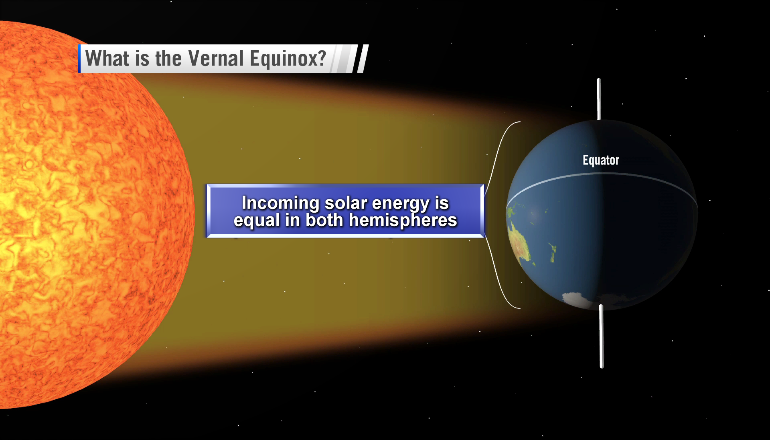 The sun shines on the equator for the Vernal Equinox, giving us a near 50-50 split of day and night. These fun facts were culled from Reader’s Digest. While 2019 still feels new, perhaps now is the ideal time to look back and get caught up on some of the amazing books that have been published over the course of this past year. 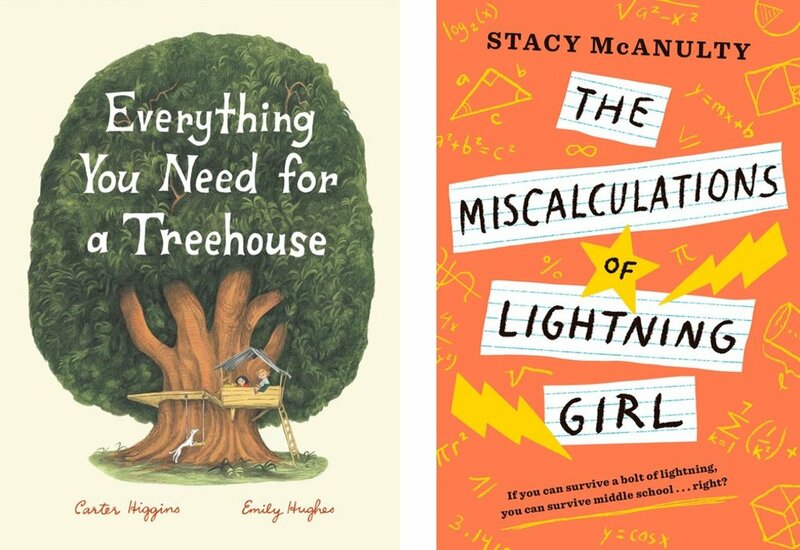 This month we take a look at 10 of the very best books for teens in our feature article: "Best Young Adult Books of 2018." For a completely different kind of book experience, our bonus article for February is a brief introduction to the world of Sudoku. Although this is not exactly reading (but does include the activities of penciling and puzzling), it is nonetheless a very worthwhile pastime that will hone reasoning and logic skills. Enjoy the sample puzzle and book tip in: "Fun Stuff To Do: Do You Sudoku?" We’re deep into the winter season right now, so it’s a perfect time to settle in with a good book. Don’t know where to turn? 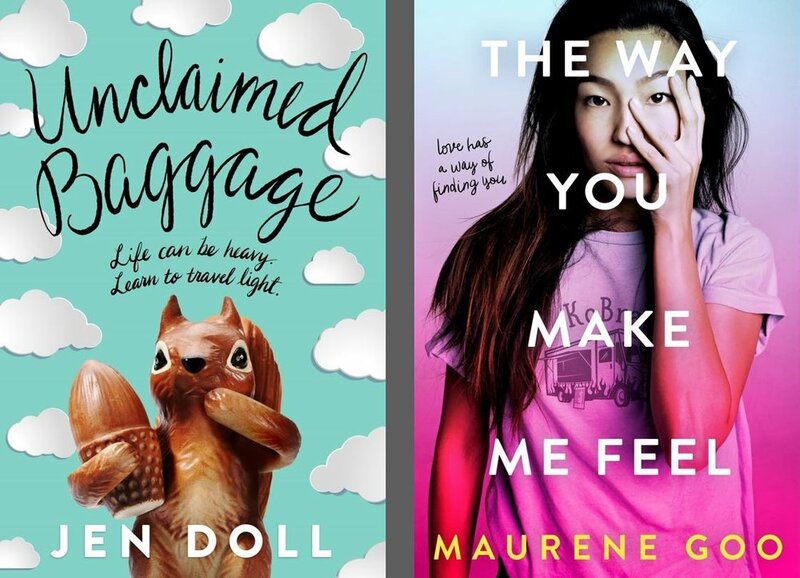 Here are some suggested reads for your young adult, a few of the best that were published in 2018. Tomi Adeyemi’s debut novel is the start of what promises to be an epic, addictive new series. Children of Blood and Boneis influenced by Adeyemi’s West African heritage, and in it she bends religious deities (the Orïsha) and a diverse landscape into a refreshing new take on fantasy. The story is told from multiple points of view, as Inan and Amari, children of the iron-fisted king, and Zélie and Tzain, siblings who have suffered greatly under the king’s regime, find themselves on a dark, magic-filled quest for power. Their journey is accompanied by violence and betrayal, but friendship and even star-crossed love also play a part. Enriched with themes that resonate in today’s social and political landscape, Children of Blood and Bonetakes on injustice, discrimination, and a struggle for change. Elizabeth Lavenza hasn't had a proper meal in weeks. Her thin arms are covered with bruises from her "caregiver," and she is on the verge of being thrown into the streets . . . until she is brought to the home of Victor Frankenstein, an unsmiling, solitary boy who has everything--except a friend. Victor is her escape from misery. Elizabeth does everything she can to make herself indispensable--and it works. She is taken in by the Frankenstein family and rewarded with a warm bed, delicious food, and dresses of the finest silk. Soon she and Victor are inseparable. But her new life comes at a price. As the years pass, Elizabeth's survival depends on managing Victor's dangerous temper and entertaining his every whim, no matter how depraved. Behind her blue eyes and sweet smile lies the calculating heart of a girl determined to stay alive no matter the cost . . . as the world she knows is consumed by darkness. For Penny Lee, high school was a total nonevent. Her friends were okay, her grades were fine, and while she somehow managed to land a boyfriend, he doesn’t actually know anything about her. When Penny heads to college in Austin, Texas, to learn how to become a writer, it’s seventy-nine miles and a zillion light years away from everything she can’t wait to leave behind. Sam’s stuck. Literally, figuratively, emotionally, financially. He works at a café and sleeps there too, on a mattress on the floor of an empty storage room upstairs. He knows that this is the god-awful chapter of his life that will serve as inspiration for when he’s a famous movie director but right this second the seventeen bucks in his checking account and his dying laptop are really testing him. When Sam and Penny cross paths it’s less meet-cute and more a collision of unbearable awkwardness. Still, they swap numbers and stay in touch—via text—and soon become digitally inseparable, sharing their deepest anxieties and secret dreams without the humiliating weirdness of having to see each other. Carson Mastick is entering his senior year of high school and desperate to make his mark, on the reservation and off. A rock band -- and winning Battle of the Bands -- is his best shot. But things keep getting in the way. Small matters like the lack of an actual band and his brother getting shot by the racist owner of a local restaurant. Maggi Bokoni has just moved back to the reservation with her family. She's dying to stop making the same traditional artwork her family sells to tourists (conceptual stuff is cooler), stop feeling out of place in her new (old) home, and stop being treated like a child. She might like to fall in love for the first time too. Carson and Maggi -- along with their friend Lewis -- will navigate loud protests, even louder music, and first love in this stirring novel about coming together in a world defined by difference. Graciela Iturbide was born in Mexico City in 1942, the oldest of 13 children. When tragedy struck Iturbide as a young mother, she turned to photography for solace and understanding. From then on Iturbide embarked on a photographic journey that has taken her throughout her native Mexico, from the Sonora Desert to Juchitán to Frida Kahlo’s bathroom, to the United States, India, and beyond. Photographicis a symbolic, poetic, and deeply personal graphic biography of this iconic photographer. Iturbide's journey will excite readers of all ages as well as budding photographers, who will be inspired by her resolve, talent, and curiosity. Eight years later, after too many lies and with trouble on her heels, Bina finds herself on the side of the road again, the city of her dreams calling for her. She has an old suitcase, a fresh black eye, and a room waiting for her at Catherine House, a young women’s residence in Greenwich Village with a tragic history, a vow of confidentiality, and dark, magical secrets. There, Bina is drawn to her enigmatic downstairs neighbor Monet, a girl who is equal parts intriguing and dangerous. As Bina’s lease begins to run out, and nightmare and memory get tangled, she will be forced to face the terrible truth of why she’s come to Catherine House and what it will cost for her to leave. In A Room Away from the Wolves, critically acclaimed and New York Times bestselling author Nova Ren Suma weaves a spellbinding ghost story about who deserves a second chance, how we lie to those around us and ourselves, and to what lengths girls will go in order to save each other. In the medieval kingdom of Goredd, women are expected to be ladies, men are their protectors, and dragons can be whomever they choose. Tess is none of these things. Tess is. . . different. She speaks out of turn, has wild ideas, and can't seem to keep out of trouble. Then Tess goes too far. What she's done is so disgraceful, she can't even allow herself to think of it. Unfortunately, the past cannot be ignored. So Tess's family decide the only path for her is a nunnery. But on the day she is to join the nuns, Tess chooses a different path for herself. She cuts her hair, pulls on her boots, and sets out on a journey. She's not running away, she's running towards something. What that something is, she doesn't know. Tess just knows that the open road is a map to somewhere else--a life where she might belong. To Be Honestis another sharp, witty novel from Maggie Ann Martin, about a spunky heroine who is dealing with very real issues―body image, parental pressure, loneliness, first love, and finding your way―with heart and humor. In Jen Doll's young adult debut novel, Unclaimed Baggage, Doris―a lone liberal in a conservative small town―has mostly kept to herself since the terrible waterslide incident a few years ago. Nell had to leave behind her best friends, perfect life, and too-good-to-be-true boyfriend in Chicago to move to Alabama. Grant was the star quarterback and epitome of "Mr. Popular" whose drinking problem has all but destroyed his life. What do these three have in common? A summer job working in a store called Unclaimed Baggage cataloging and selling other people's lost luggage. Together they find that through friendship, they can unpack some of their own emotional baggage and move on into the future. Fun Stuff To Do: Do You Sudoku? Sudoku is played on a grid of 9 x 9 spaces. Within the rows and columns are 9 “squares” (made up of 3 x 3 spaces). Each row, column and square (9 spaces each) needs to be filled out with the numbers 1-9, without repeating any numbers within the row, column or square. Does it sound complicated? Each Sudoku grid comes with a few spaces already filled in; the more spaces filled in, the easier the game – the more difficult Sudoku puzzles have very few spaces that are already filled in. By seeing which numbers are missing from each square, row, or column, we can use process of elimination and deductive reasoning to decide which numbers need to go in each blank space. Sudoku is a game of logic and reasoning, so you shouldn’t have to guess. If you don’t know what number to put in a certain space, keep scanning the other areas of the grid until you seen an opportunity to place a number. But don’t try to “force” anything – Sudoku rewards patience, insights, and recognition of patterns, not blind luck or guessing. One way to figure out which numbers can go in each space is to use “process of elimination” by checking to see which other numbers are already included within each square – since there can be no duplication of numbers 1-9 within each square (or row or column). This is how the process of elimination works in Sudoku – you find out which spaces are available, which numbers are missing – and then deduce, based on the position of those numbers within the grid, which numbers fit into each space. Sudoku rules are relatively uncomplicated – but the game is infinitely varied, with millions of possible number combinations and a wide range of levels of difficulty. But it’s all based on the simple principles of using numbers 1-9, filling in the blank spaces based on deductive reasoning, and never repeating any numbers within each square, row or column. Sudoku games can be found all over the internet, but if you’re interested in cutting out the amount of screen-time that you and your family spends each day, go to your local bookstore and check out the “Puzzle” section. 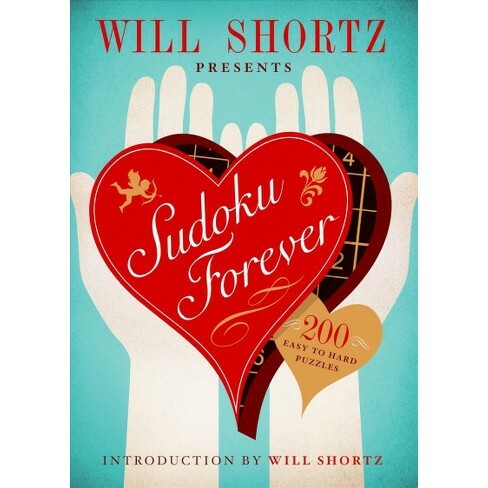 We recommend the Sudoku series by Will Shortz. He has put together a whole line of books of varying levels of complexity, from very easy to extra hard. They are relatively inexpensive and have big grids for comfortable solving. For a fun Valentine's Day gift idea, you might consider Sudoku Foreverby Will Shortz, as shown below. As we make New Year's resolutions and consider fresh possibilities for the upcoming 12 months, sometimes, during these coldest months and shortest days, a temporary slump can affect us. In our feature article for January we offer rays of sunshine to combat these seasonal blues in "Coping with Grey Gloomy Winter Days." Read on and let the sun shine in! 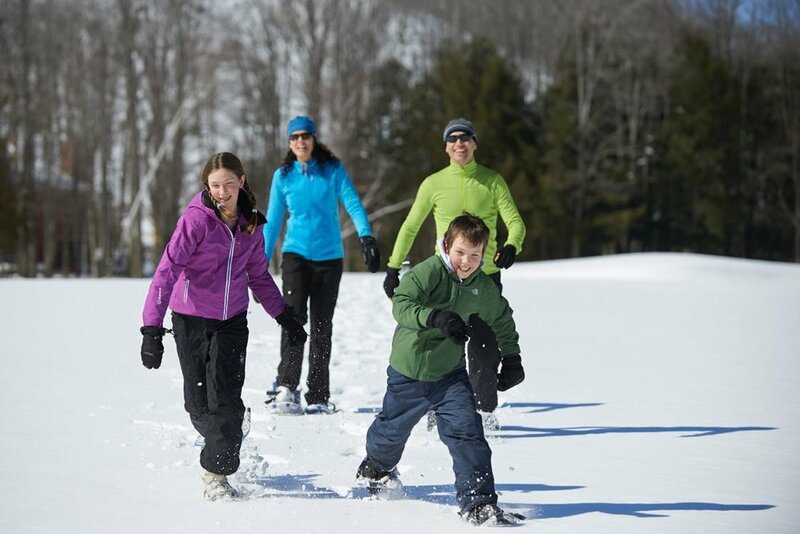 To cure those winter blahs, consider participating in fun activities with your entire family. We have a brief and bright list of suggestions for you in our bonus article: "Fun Winter Activities for Your Family." Go ahead and have some fun! The excitement of the holidays has passed, but the shorter days, and the cold, gloomy grey weather is going to stick around for a while. Unfortunately, the lack of sunshine can significantly affect some people, causing an unusual lack of energy, fatigue, mild depression, and it can negatively impact their ability to concentrate and get a good night's sleep. Adults as well as children can be impacted by Seasonal Affective Disorder (SAD), and although it does not affect everyone, if you or someone in your family is facing SAD challenges, it can be difficult for other family members as well. It is important to work together to try to combat some of these feelings. Below you’ll find a list of activities that the whole family can enjoy this winter, but more generally, professionals suggest a few activities that can help. Socialization with friends and family members offers the opportunity for distraction and to talk about the blues, which can help to heal. Throw open the curtains, go outside, find sun whenever possible. Become active and move to increase the endorphins and boost the mood. Make an upbeat playlist, turn on that music, and get creative with a new project or try out something new. Try to embrace the low-key days with immersion into extreme comfort. Turn on a favorite movie, enjoy a mug of hot chocolate, cuddle up under a warm blanket, and enjoy some planned cozy time. Key during these low periods, is exposure to the sun and to bright lights. If indoors, move the chair closer to the windows as any increase in sunlight will help. Also invest in a light box, which will simulate daylight and help to boost your mood. Thirty minutes a day should do the trick! If it’s a sunny day though, get outside! Watch what you’re eating as well. Eat plenty of fruits and vegetables, and limit carbs like cookies or white bread, which can make you feel momentarily better but will make you feel more sluggish with the inevitable blood sugar crashes. The good news here though is that dark chocolate has been shown to improve moods and help relieve anxiety, so go ahead and enjoy a bit of the dark stuff. As mentioned above, you need to get moving! Best plan would be to exercise for 30 minutes, but even a 10-minute walk or dance around the living room will help. Volunteering also has a direct impact on improved mental health and the feeling of satisfaction that helps self-esteem: help out a local group, clean out a closet and donate unused clothing, go to a shelter and help to walk the dogs. Also, consider helping out an elderly neighbor or a family member who has a project that needs to be completed. There are endless ways to generously donate your time and energies to the benefit of others. Regardless of who is struggling with the winter-time blues, there are small things that can be done to help ease the discomfort. Be strong – Spring is on it’s way! As children look forward to the winter recess, parents can keep a step ahead and begin to plan invigorating family activities in wintry weather. Embrace the season! 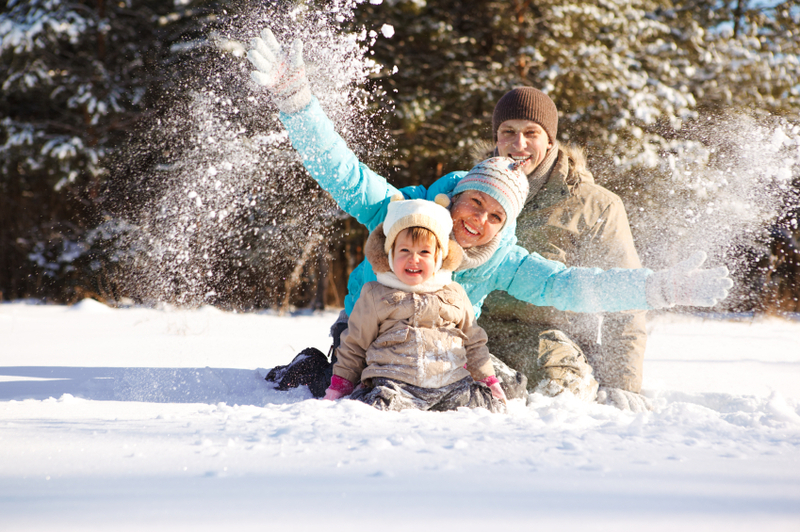 We have a snow flurry of excellent ideas in this month's feature article, "Keeping Your Family Active During Winter Recess." Speaking of outdoor activities, December is a special month for sky watchers in our area because of an amazing meteor shower that needs only a clear night, a warm coat, and maybe a wool hat and mittens to enjoy. Find out how you can experience this marvel of the night sky in our bonus article for December: "You Can Do It! Geminid Meteor Shower." Enjoy nature's light show! With the winter recess looming at the end of the month, it’s best to make plans ahead of time to keep your children, tweens, and teens active during this downtime. The last thing you want is for them to spend their break lazing on the couch in front of screens. Below find fun ideas for you to consider. If you have leftover bubbles liquid from summer. make ice bubbles! Bear in mind, the temperature outside needs to be below freezing, but this is well worth the effort, so bundle everyone up for some magic. 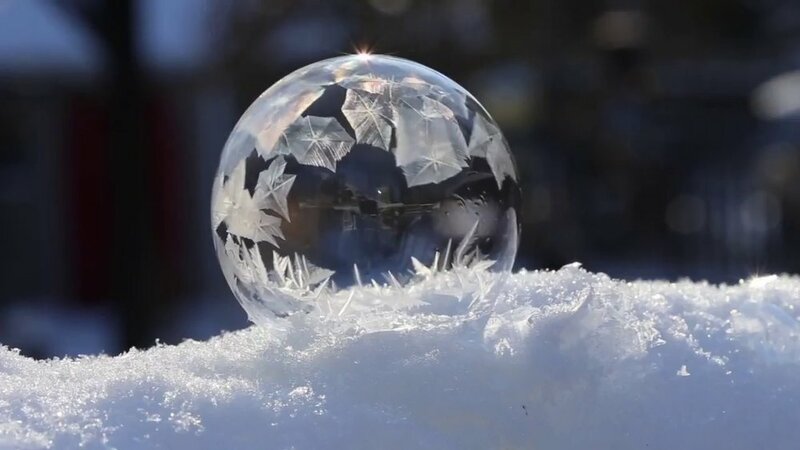 Just blow bubbles as usual and watch them instantly turn to ice balls in midair! If you don’t have leftover bubble liquid, use the following recipe to make your own! Measure 3 cups of water into a container. 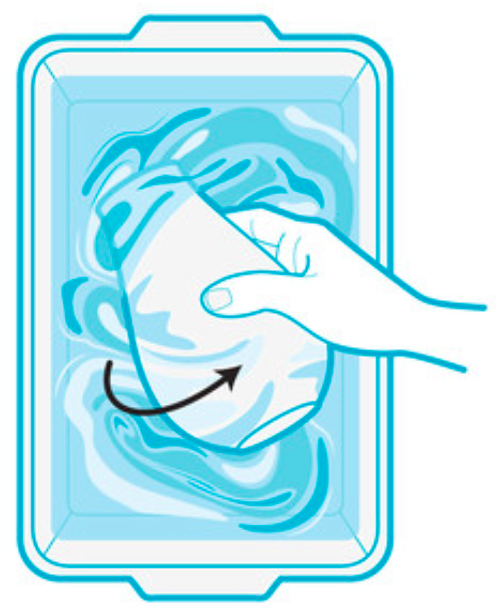 Pour 1/2 cup of dish soap into the water and slowly stir until the soap is mixed in. Measure 1 1/2 teaspoons of glycerin or 1/8 cup of corn syrup and add it to the container. Stir the solution until it is mixed together. Have a snowman contest! You’ve probably built these snow beings before, but this time, up your game by using pumpkin carving tools and other kitchen utensils to really spur on creativity. For added fun, add a peppermint swirl candy to your snowman’s checks and as the snow melts those checks will turn rosy pink. Build a beautiful snow lantern using faux tea lights and candles that are crowding the store shelves right now. 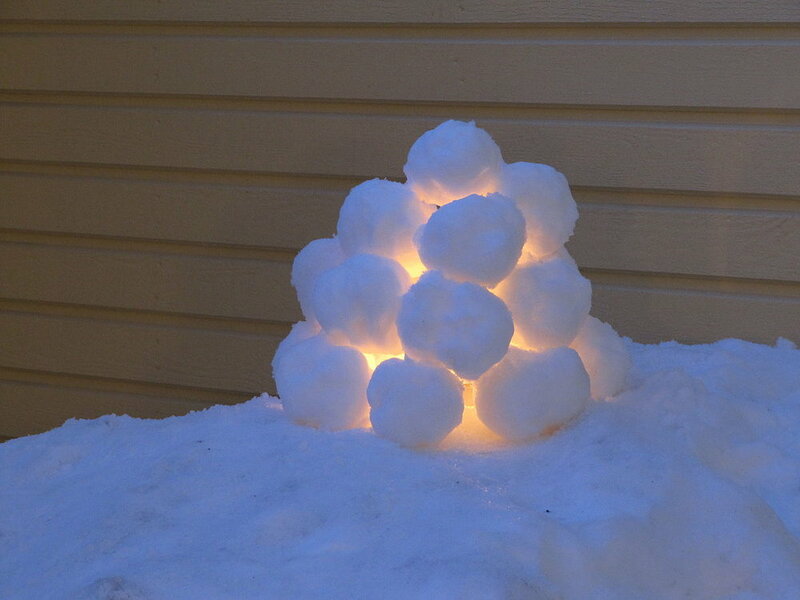 Once you have a few lights,stack snowballs into a pile or some kind of enclosed shape, then at twilight, put one or more of those battery-operated LED lights into the center of your structure. You’ve created a glowing beauty for your family and your neighborhood to enjoy on a dark winter’s night. 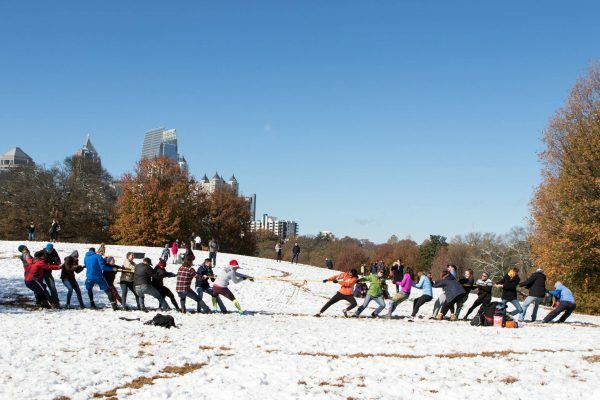 Tug of War, Winter style! Grab a rope, divide into two teams dig in ankle-deep, and pull! You’ll be surprised how much the snow works to your advantage compared to playing this game in the summertime. Go horseback riding at Seaton Hackney Stables in Morristown. What could be more iconic than a ride through a snowy landscape? Book your ride ahead of time and enjoy the beautiful Loantaka Trails. Riders of all skill levels will be led by an instructor. Call 973-633-3355 to book rides. Keeping your children active during the holiday break is not only good for them, but you’ll be creating memories that they will cherish for years to come! Beginning on the evening of December 13th and ending at twilight on December 14th, the fabulous Geminid Meteor Shower will be visible in this part of the country. Head outside between 9-10 pm and you’ll be able to view up to 120 meteors per hour, shooting across the sky and giving us a fabulous show! Weather conditions and light pollution are the only reasons it could be difficult to se the showers. The sky needs to be dark and clear, away from all the city lights. Where to look? The best place to start is between the radiant and the zenith (straight above you). The radiant is the point in the sky where the meteors appear to originate. Starting around midnight, our location on the globe spins around to the forward-facing half of Earth (in relation to the direction of orbit). At dawn, our location on the globe directly faces the direction in which Earth is traveling along its orbit. So between midnight and dawn, you’ll be viewing the meteors head-on, for a more frequent display. No special equipment is needed. In fact, binoculars do not work for meteor showers. The naked eye is best. 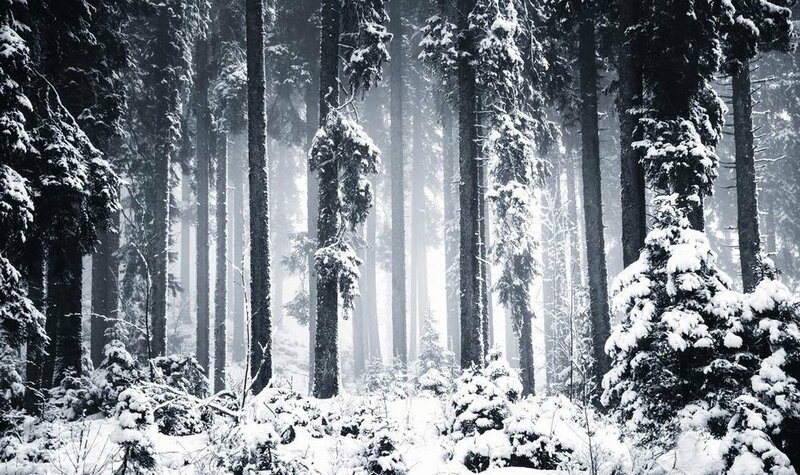 Gather your family, bundle up warmly, collect your blankets or quilts, fill up a thermos of coffee or cocoa, and enjoy looking up into the dark night sky.